Many fans have labelled the voting of Dejan Lovren as Liverpool’s Player of the Month as patronising and embarrassing, but not the manager. 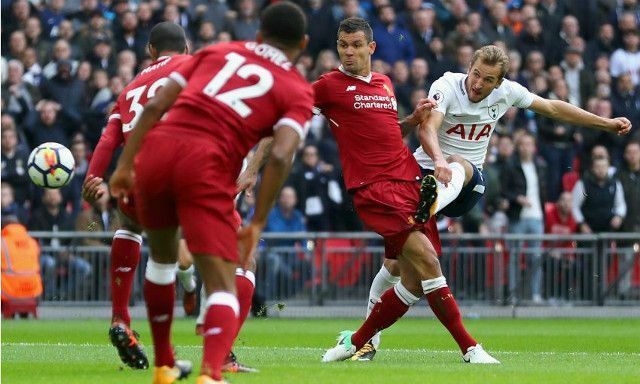 Supporters rallied on Twitter to show the Croatian defender our true colours, due to the 28-year-old being subjected to multiple death threats following his shambolic Tottenham performance. He earned 32% of the vote as POTM for October, winning the gong alongside Mo Salah, but it’s very much divided the fanbase as to whether it was the right thing to do. Jurgen Klopp though has analysed it positively – and stated that it shows the best side of real, compassionate Liverpool fans. “It only shows how fans are different from people who are very loud on social media,” he told the Guardian. “That’s how I see it. In the more difficult moments you have to really show togetherness and I could not imagine the fans would react that quick. We agree with the boss, actually. The people angry about it need to take a step away and realise it’s not that big of a deal. Lovren was being sent threats to murder his daughters and issued a public cry for help. Fans responded by showing they care in a POTM poll. End of. It doesn’t really matter a whole lot – it’s just representative of a larger group who are not actually abusive idiots online.